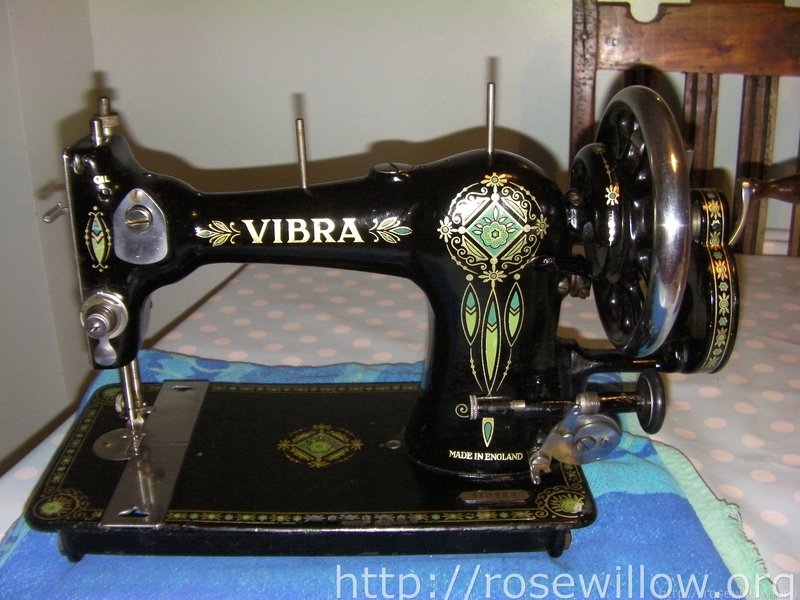 My latest project has been to clean and restore this sweet little Vibra handcrank machine to good running order. 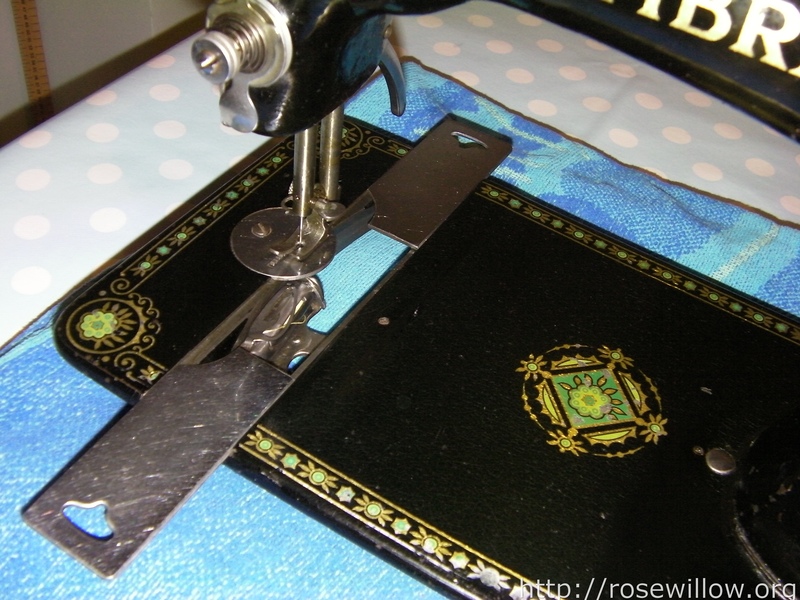 She really is small — her base is 12 inches long, 6.5 inches wide, and 1.5 inches tall from the bottom of the cast iron feet to the machine bed. She is badged as a “Vibra,” but she’s really a Jones CS in disguise. All Jones CS (cylindrical shuttle) machines have that large screw on the top, between the spool pins. 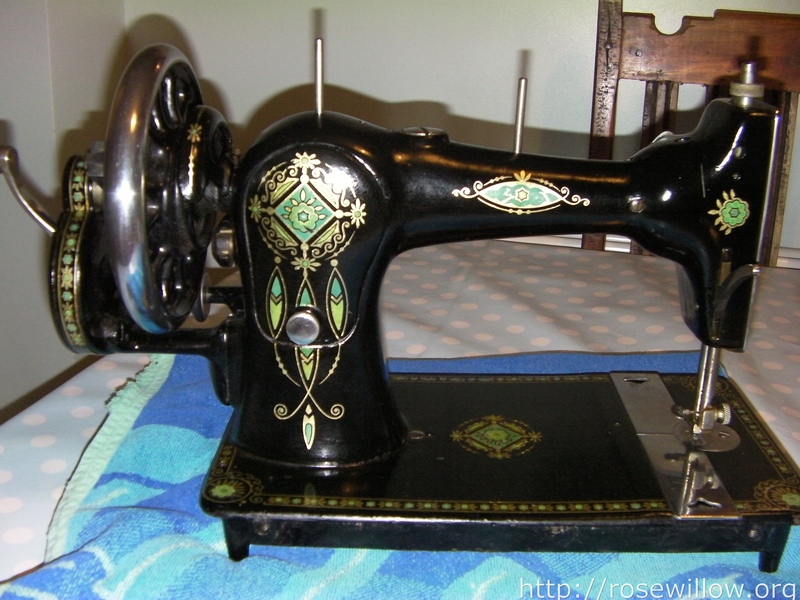 I found some information about this model and a photo of a similar machine at the Antique and Vintage Sewing Machine Virtual Museum. The serial number of my machine is 510728, so I think she was made in the mid-1930s like the example machine on the website. The chrome on the balance wheel, faceplate and slide plates is all beautiful and smooth. There were some dark spots before cleaning that I thought might be pitting, but luckily it was only dirt! 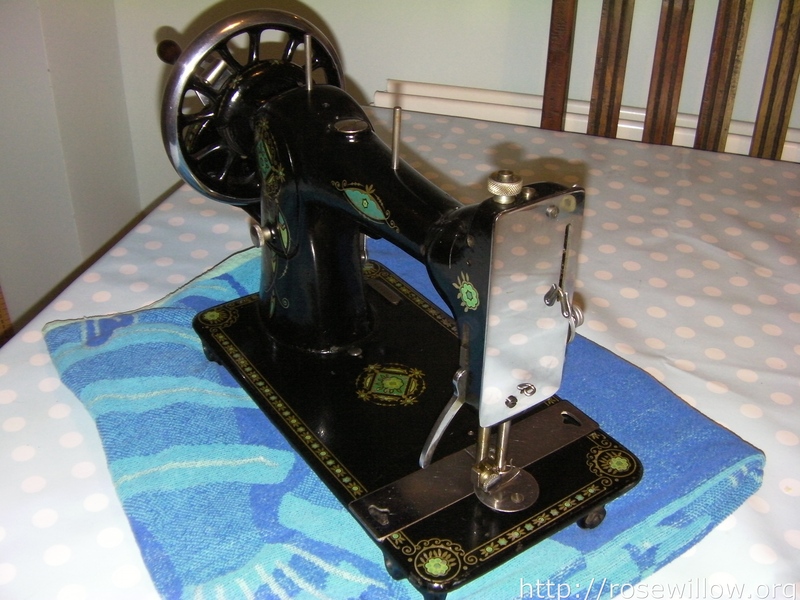 After cleaning, she just needed some round-shank needles and a new rubber tyre for the bobbin winder, and I was able to order those online, as well as an instruction book, from Helen Howes Old Sewing Machines — no affiliation, just very pleased with the excellent service and valuable advice. 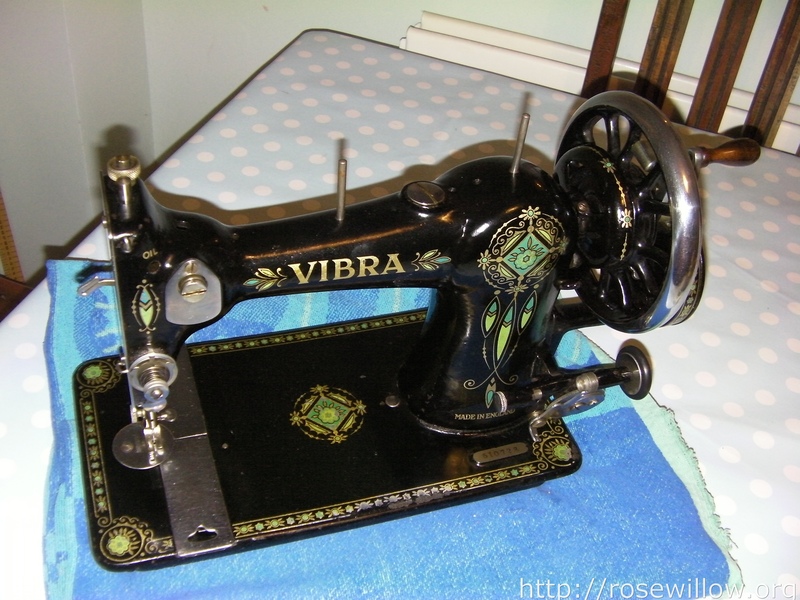 Now my little Vibra is working perfectly! I need to do something about her poor old storage case, which is in a very sad condition…but that’s a story for another day! she’s a beauty! Not bad for 80+ years old.